Mission: Impossible – Fallout, 2018. Starring Tom Cruise, Simon Pegg, Ving Rhames, Rebecca Ferguson, Henry Cavill, Sean Harris, Vanessa Kirby, Angela Bassett and Alec Baldwin. 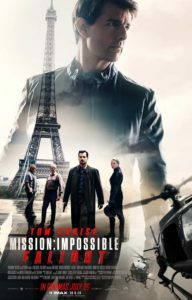 Ethan Hunt must deal with a returning terrorist villain, a new group of zealots and an interfering CIA operative in his latest very improbable mission. Being a film critic is the best job in the world – obviously. Sometimes, though, it’s easy to lose sight of that. Sitting through the latest noisy installment in the Transformers franchise, or enduring a comedy that’s about as funny as a Brexit white paper, is enough to make even the most devoted cinephile question their career decisions. Thank goodness, then, for movies like Mission: Impossible – Fallout. It’s a stupid, ridiculous, shlocky romp so enjoyable that it restores every lost iota of faith in cinema to amaze, enthral and excite. Not bad for the sixth film in a fairly generic collection of action movies. 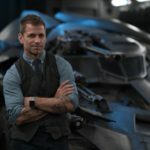 For the first time in the 20 year history of the franchise, there’s a returning director at the helm, with Christopher McQuarrie picking up where he left off after the fun but forgettable Rogue Nation back in 2015. Alec Baldwin’s CIA suit is now in charge of the IMF and he has tasked Ethan Hunt (Tom Cruise) with tracking down a trio of plutonium devices before they fall into the clutches of the Apostles – a group of zealots formed from the ashes of the Syndicate, whose founder Solomon Lane (Sean Harris) is ricocheting around between the law enforcement systems of various nations. A calamitous decision made by Hunt in the heat of battle leads to the plutonium vanishing into criminal hands and the interference of CIA assassin Walker (Henry Cavill), who is despatched to keep an eye on Hunt and his IMF team as they try to recover the radioactive material before it can become weaponised. 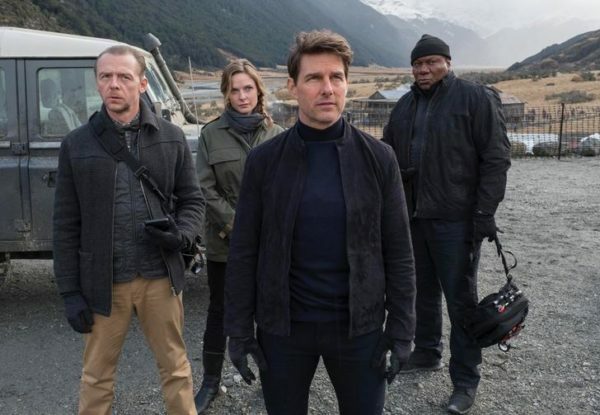 Things are complicated further by the reappearance of former MI6 operative Ilsa Faust (Rebecca Ferguson), who has her own set of missions and loyalties. McQuarrie has woven yet another tapestry of double crosses and conspiracies with Fallout, though it’s clear that this is not where the lion’s share of his enthusiasm lies. This movie’s storyline is little more than a skeleton, on to which McQuarrie and producer-star-daredevil Cruise assemble an elaborate musculature of set pieces that are as inventive as they are dangerous. Whether it’s a bruising bathroom fight, a motorbike chase through the streets of a major European city or an aerial battle in which helicopters become high altitude dodgem cars, McQuarrie and his fearless leading man pull out all the stops to batter the audience into submission. And it’s in this quest that the film whole-heartedly succeeds. 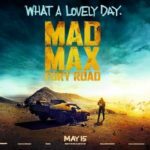 There is action in this movie to rival anything in the best genre adventures of recent years, from Mad Max: Fury Road‘s vehicular carnage to the superhero smackdowns of Avengers: Infinity War. The climactic face-off, atop a towering Asian cliff, is a bruising battle of fists that is as cathartically funny as it is stunningly violent. It’s a movie that almost dares the audience to engage in their own daredevil stunt – holding their breath for the entire third act. It helps, too, that this franchise is now fully embracing its ludicrousness like an old friend. There’s a running gag characterising the IMF as “a bunch of grown men in rubber masks playing trick or treat” and Simon Pegg’s tech whizz Benji has dialled up the exasperation even further. 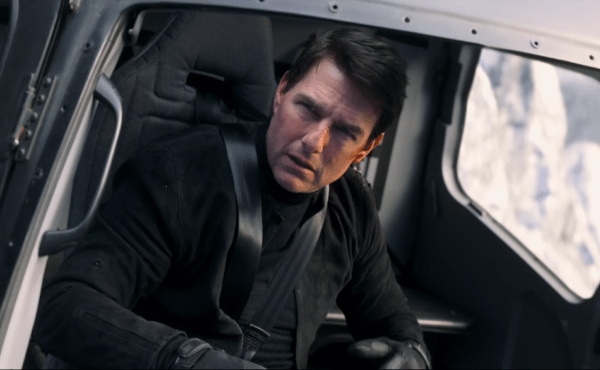 This new incarnation of Mission: Impossible marks the swaggering confidence of a series that, after decades of tinkering, has found its identity as a cartoonish demolition derby, anchored by its Cruise missile of a star – willing to dangle from, and ultimately jump off, as many tall things as he can find. These movies belong to Cruise, and it’s easy to see why. Undaunted by either his advancing years, or the smashed-up ankle he sustained during filming in London, the 56-year-old man of mayhem is a whirlwind running through almost every frame of the movie’s two and a half hours – a lot on paper, but it flies by – in a constant quest to one-up his own excesses. 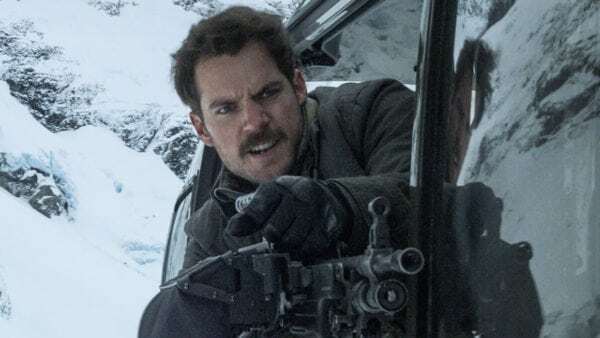 He’s amply supported by his usual ensemble, but he equally benefits from Henry Cavill, effectively reprising the sneering arrogance of his character in The Man From U.N.C.L.E. in a role that is as enjoyable as anything he has done in his big screen career. McQuarrie’s comfort equally shines through in the visual finesse on show throughout the film. Interior scenes have a retro grain, while the aforementioned finale unfolds against an eclectic climate, changing from snow-capped peaks to the verdant beauty of greenery in the blink of an eye, each captured with an eye for sheer beauty by cinematographer Rob Hardy. 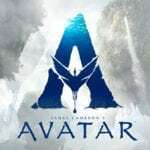 The sound design, too, deserves credit for some crunching punches and deafening chases, while Lorne Balfe’s score mixes old and new with a seamless sense of the same kid-in-a-sweet-shop joy that powers the whole movie. It’s not a straight slam dunk, though. Michelle Monaghan, returning as Hunt’s estranged ex-wife, hands the film an entirely unnecessary emotional subplot that never works, despite the best efforts of Ving Rhames in a beefed-up role as hacker Luther. Rhames shines in his comedy moments – including a particularly fraught attempt to defuse a bomb – but struggles to do as much emotional heavy-lifting as the script asks of him. Equally, a British society dirty dealer played by The Crown‘s Vanessa Kirby adds an injection of strange energy when she’s on screen, but ultimately flits in and out of the narrative without much rhyme or reason. These complaints, however, are a mere footnote in the face of the towering achievement that Mission: Impossible – Fallout transpires to be. In a movie world in which even the biggest films often feel as if they are holding plenty back for sequels, it’s a joy to experience a blockbuster bonanza that genuinely feels as if it’s tossing absolutely everything it has at the audience in an attempt to deliver pure, unadulterated escapism. It’s possible for a film critic to lose sight of the joy of cinema, for sure, but after I spent the last 20 minutes of Fallout repeating the words “I bloody love movies” in my head, I’d say I’m in a good place for the moment.